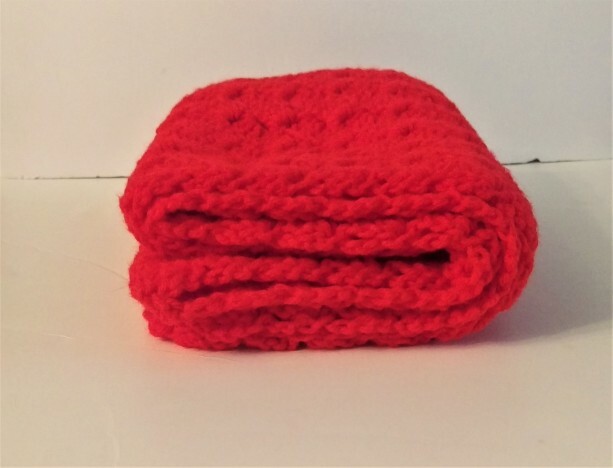 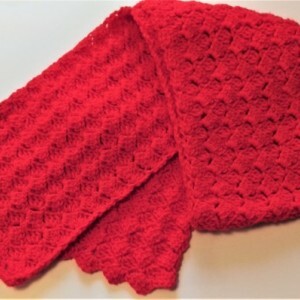 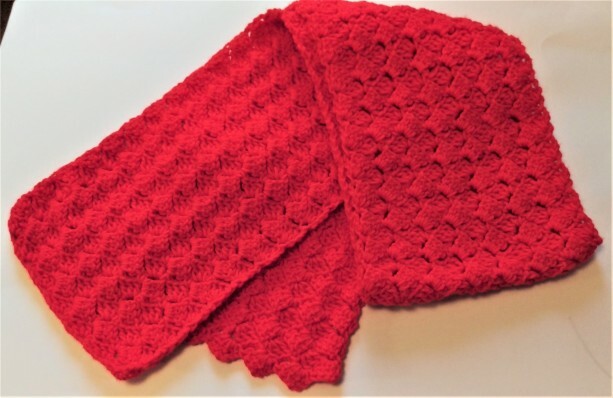 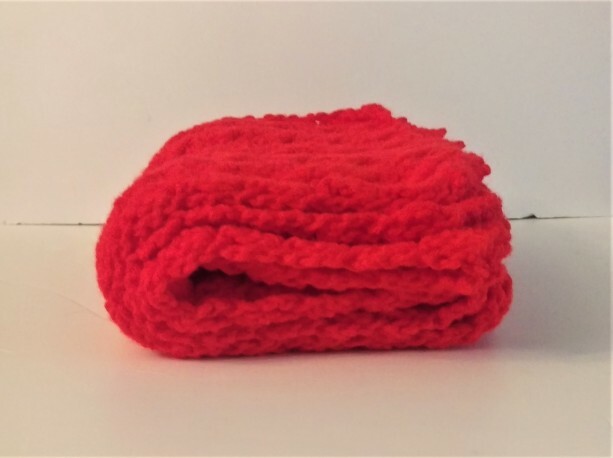 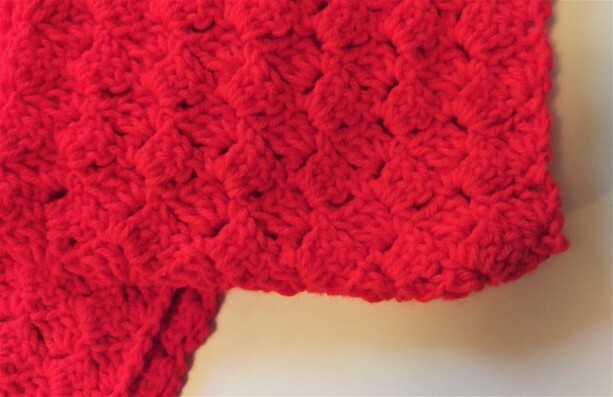 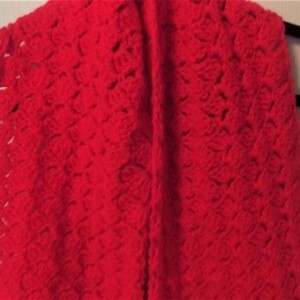 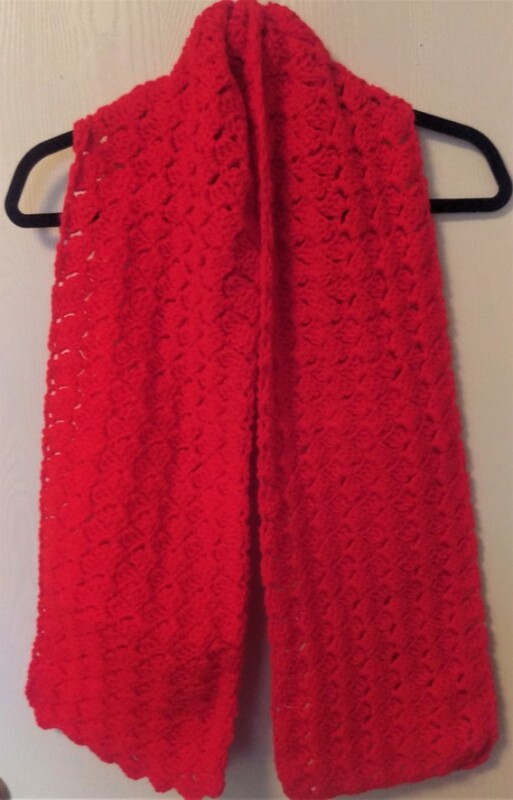 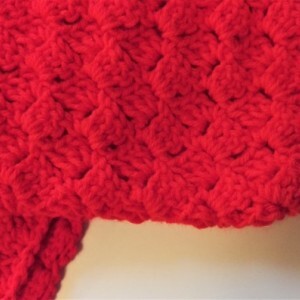 Solid red scarf, warm and cozy with a nice textured pattern, adds a pop of color to any outfit. 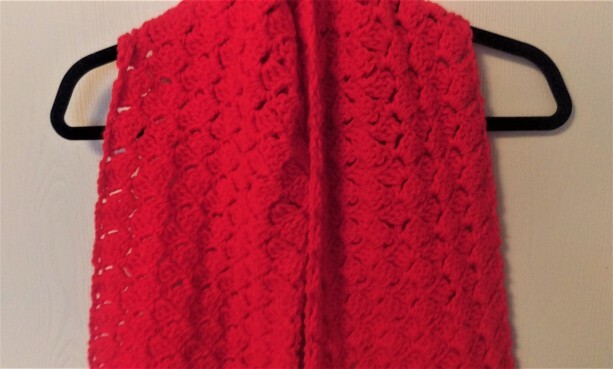 Color of red is more on the bright side. 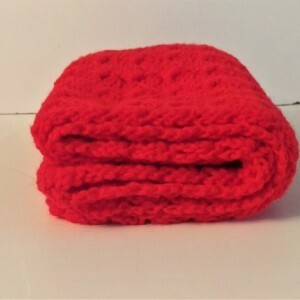 Size is long enough to wrap once, with a little left to tuck into a coat. 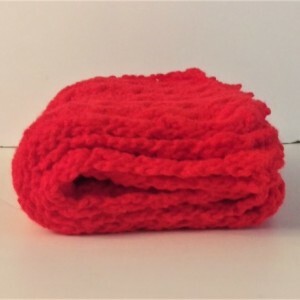 Dimension: Length: 64 inches, Width: 8 inches. 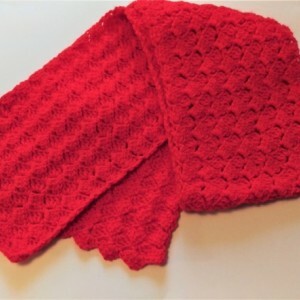 100 Acrylic, machine washable and dryable. 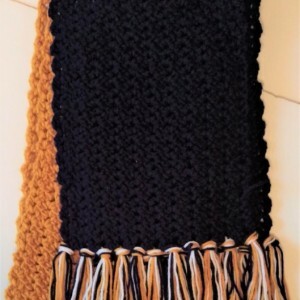 This is a handmade scarf, so there will be slight imperfections, which gives each scarf a unique flair. 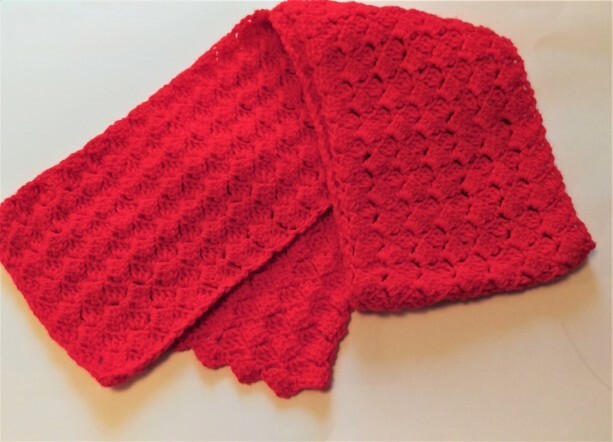 I do my best to ensure you are happy with my scarves, but if you find that it is not for you, please return scarf in its original condition, nicely packed and I will be happy to give you a refund or exchange. 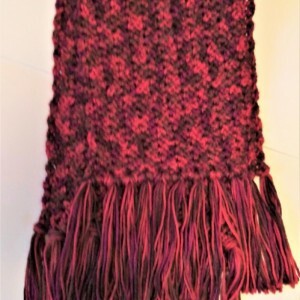 If requesting a custom scarf, please convo me to discuss terms and cost. 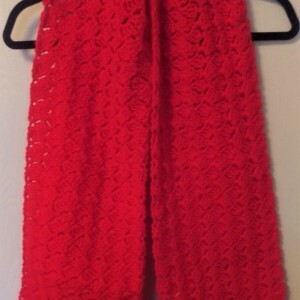 Custom items are not returnable.